Located in Tyson’s Galleria on the third floor, we offer a large variety of unique eyewear, focusing on providing high-fashion looks and styles for our clientele. 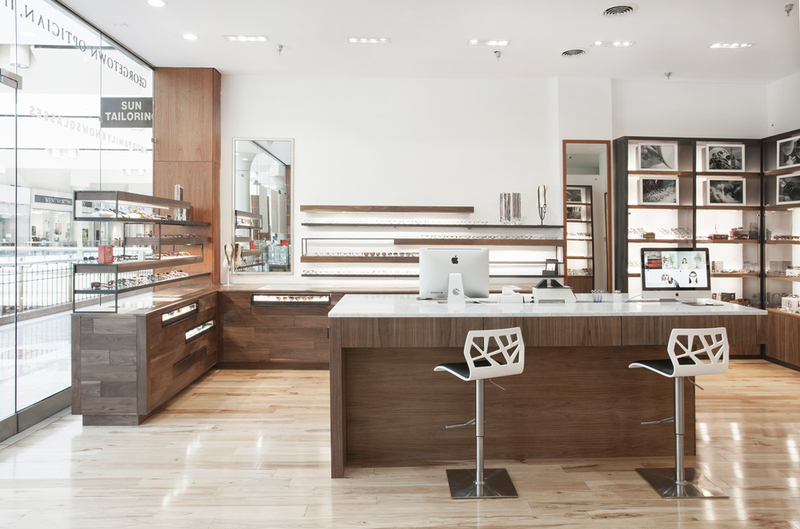 We provide examinations by appointment in Tyson’s Galleria, and feature a Cartier shop-in-shop as well as full collections of many of our most popular brands such as Robert Marc, Lunor, Mykita and Anne et Valentin. Dr. Allyssa Nguyen has lived most of her life in Northern Virginia. She received her Bachelor of Science from George Mason University and her Doctorate of Optometry from Pennsylvania College of Optometry at Salus University. Dr. Nguyen practices full scope optometry which includes comprehensive eye exams, contact lens fitting, diagnosis and treatment of ocular diseases, as well as co-management of Laser Vision Correction. She is a member of the American Optometric Association, Virginia Optometric Association and Northern Virginia Optometric Society. Because Dr. Nguyen has worked in the eye care industry since high school as an optometric technician and eventually as an eye wear consultant for a few years, she continued on this path to pursue a career in optometry. She believes in building long-term relationships with patients while meeting their vision and eye care needs. Dr. Nguyen is also fluent in Vietnamese. She looks forward to meeting new patients and be a part of the team at Georgetown Optician in Tyson's Galleria.